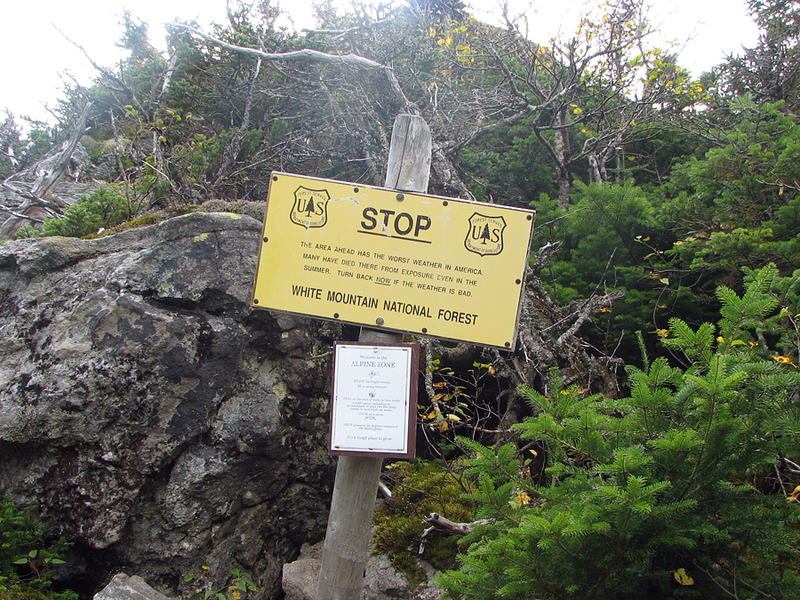 For this three-day, two-night trip, my plan was to park at the Highland Center, take the AMC Shuttle to the Valley Way Trailhead, climb up to Madison Springs Hut and spend the night there, possibly climbing Mt Madison and maybe Mt Adams in the afternoon. 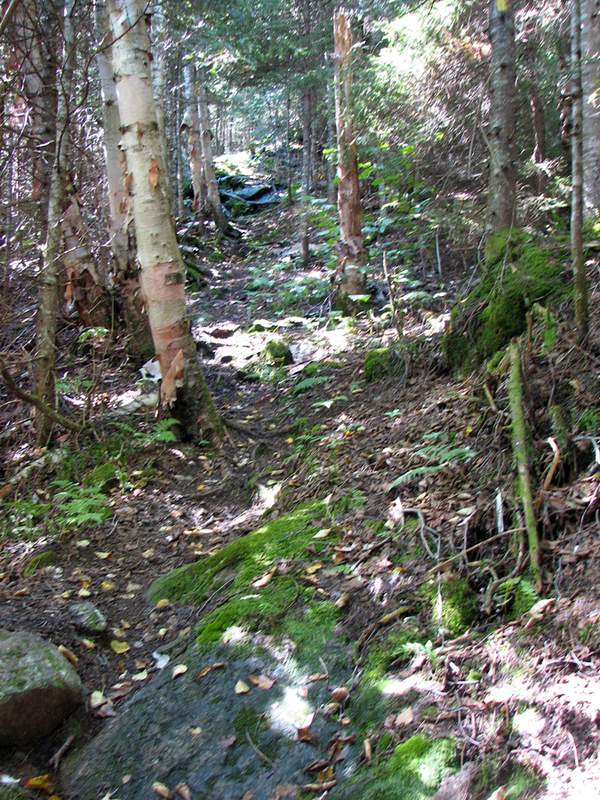 The next day, I was going to take the Gulfside Trail to Mts Jefferson and Washington, hike down to Lake of the Clouds Hut, and spend the second night there. Finally, on the third day, I would hike down the Crawford Path back to the Highland Center, passing over Mts Monroe, Eisenhower, and Pierce. Sometimes these type of plans work out, and sometimes they don't. This was one of those times where it didn't quite work out. After taking the Shuttle to the Valley Way Trailhead, I decided to take a slightly less than direct route up to the hut. I started up the Airline, and then cut back over to the Valley Way on the serene and lightly-used Beechwood Way, a trail I had never been on before. I then took a slight detour on the Brookside, returing once again to the Valley Way via the Randolph Path. So far, so good. 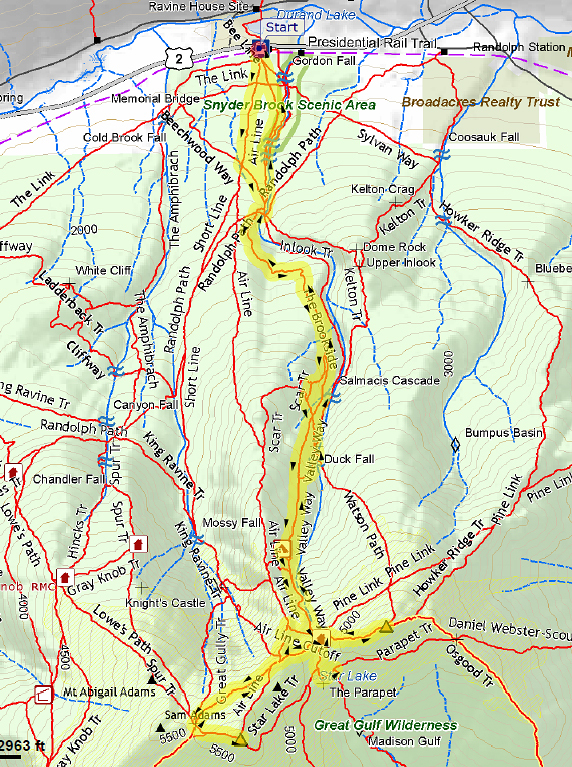 My next detour was the Scar Trail, a wild rough trail that connects the Valley Way to the Airline, but also intersects the Watson Path, which provides a short but interesting loop back to the Valley Way. At the top of a steep section on the Scar Trail, one of my poles suddenly snapped in half. 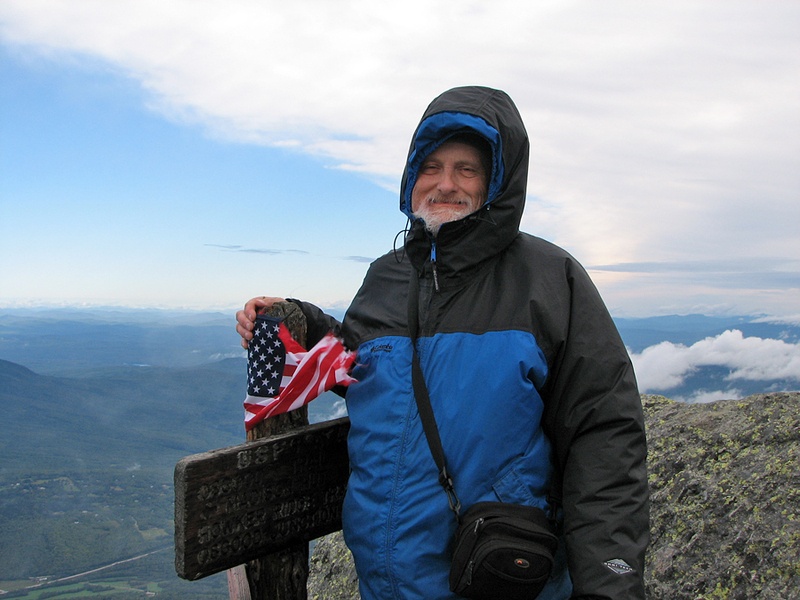 I soon discovered that, after years of relying on two poles, I did not hike all that well with only one pole. I felt out of balance, especially with a heavy pack. Needless to say, I made no additional detours the rest of the way up to the hut. 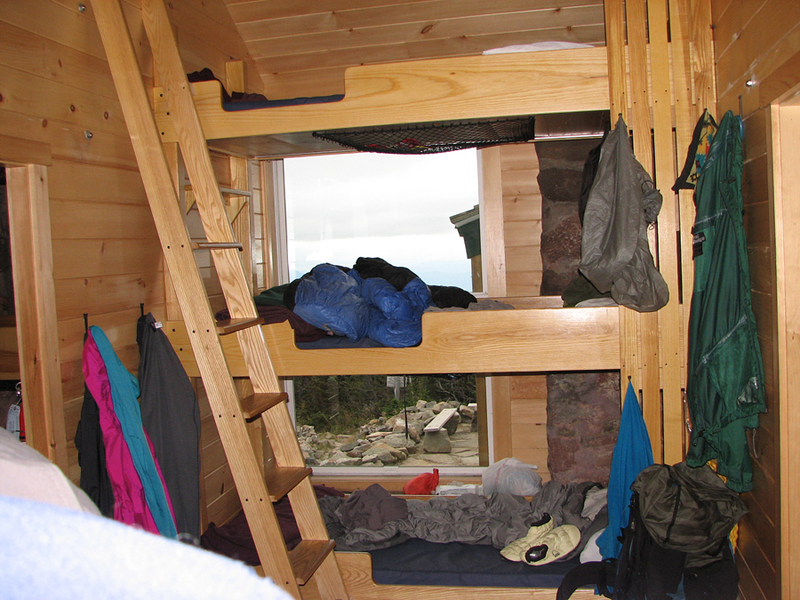 Finally reaching the hut, I picked out a nice cozy second-level bunk by a window that overlooked Mt John Quincy Adams. When they rebuilt Madison Hut in 2011, they installed a handy built-in LED lamp in every bunk. 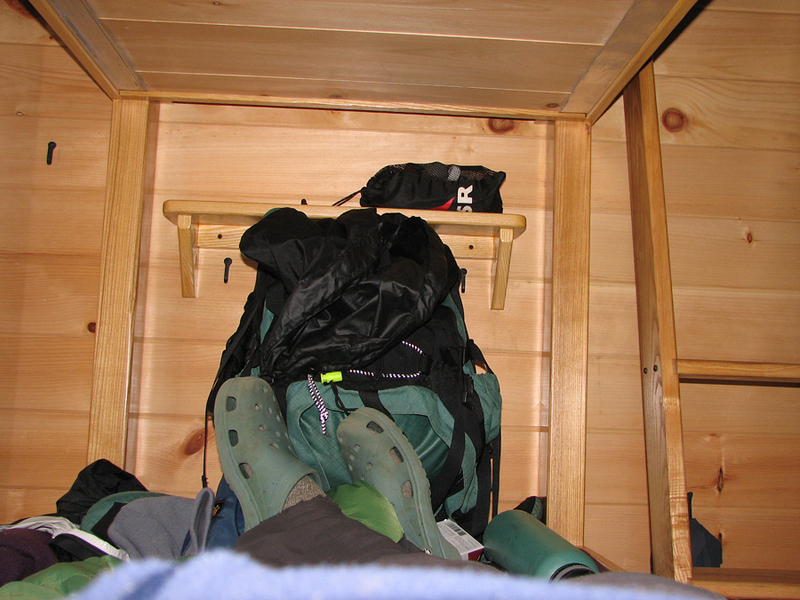 There was also plenty of room for both myself and my backpack on the bunk, as well as shelves at either end. Most of the bunkrooms are divided into smaller sections with only a few bunks in each, which helps keep the noise down. In my section, bunks were tiered three high, with a total of only six bunks. I was tired, and none too happy about the broken pole, so I scrapped my plans to climb Mts Madison and Adams today. Instead, I rested for a couple of hours and then got up to wander around the hut. At the front desk, I bought a hut t-shirt and talked with one of the croo for a while, telling him about my pole dilemma. They didn't sell poles, but he did have a lost and found box with some pole parts, although none of them seemed too promising until I hit upon an idea. There was one broken section of pole about a foot long. As he had a roll of duct tape, I used the tape to splint my pole with the broken section. It was definitely ugly, but it did seem to hold. It was really windy out, and quite cold, not the weather I had expected from the forecast I heard before leaving home. I began to consider altering my plans about going all the way to Lakes of the Clouds tomorrow. After all, the taped pole might not hold up, and I didn't want to end up hiking with only one pole again. As usual, supper was really good and warming, and the hut was especially cozy with the damp wind blowing plumes of fog across the summits outside. Afterward, I read in bed for a while by the light of the built-in LED lamp. I chose to read The Wendigo by Algernon Blackwood, a short story that I had read several times already. It seemed fitting up here in the wild and windy mountains. The next morning was chilly and still windy. In fact, the wind on Mt Washington was expected to gust up 80 mph. There was an interesting undercast below, while the summits themselves were also socked in. I decided to skip my trip to Lakes of the Clouds and just stay at Madison another night. After breakfast, I grabbed my sorry-looking poles and my camera and headed up to Mt Madison. I wasn't feeling very optimistic with the wind blowing and the clouds obscurring the top, but onward I went anyway. 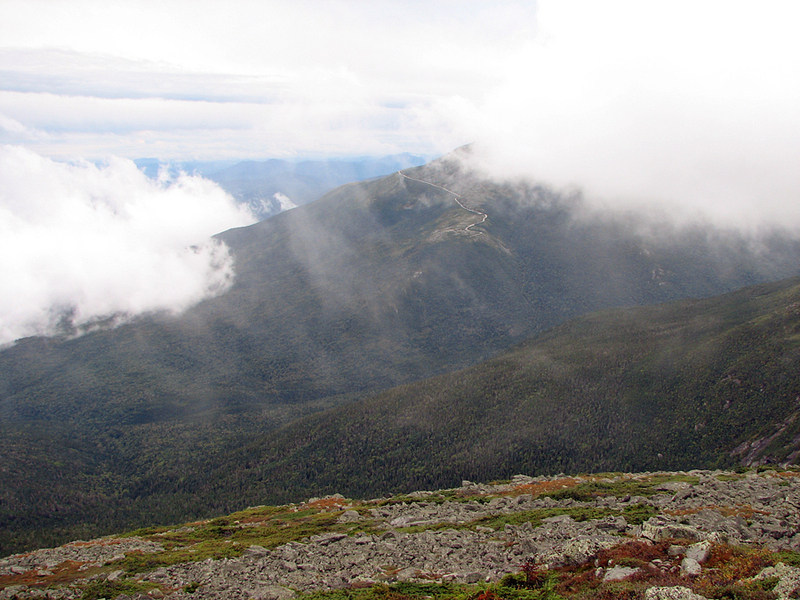 To my surprise, as I was getting close to the summit, the clouds began to part and the views opened up. 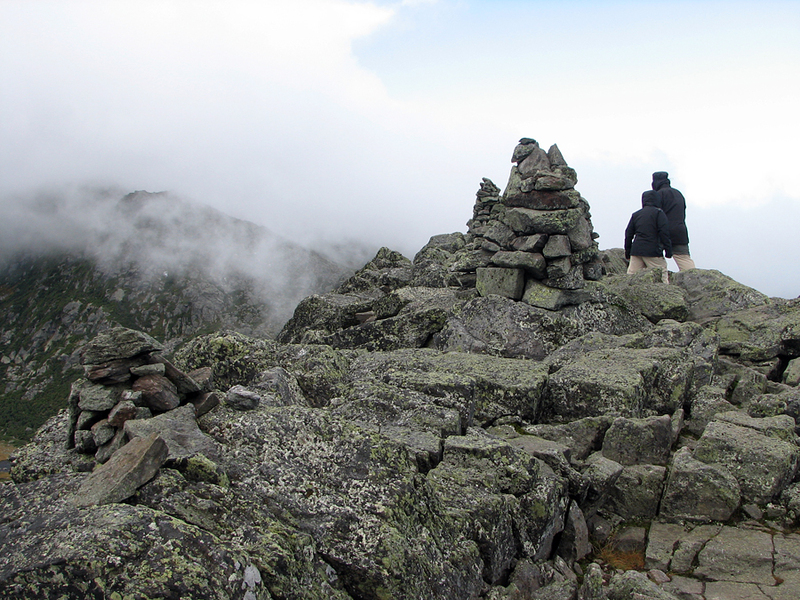 The fog was still ebbing and flowing across the higher summits; one minute, Mt Washington was entirely hidden; the next brought glimses of its features. A couple from Quebec reached the top just after I did, and asked me to take their picture, also offering to take mine as well. The wind was really whipping my jacket around, making quite a din as the fabric vibrated violently, my jacket puffing out and making me look like I was in some sort of space suit. After taking a few pictures, I headed back down to the hut. Beechwood Way. Instead of heading directly up the Valley Way, I chose to start on the Airline and then cut back over to the Valley Way by the serene and lightly-used Beechwood Way. One of the famous "Stop ... I'd turn back now if I were you" signs at treeline on the Valley Way. The weather was windy but not dangerous that day. Looking down to the Randolph are from treeline on the Valley Way. LED lamp. When they rebuilt Madison Hut in 2011, they installed these handy built-in LED lamps in every bunk. Click to open a larger version of this photo and then hold the mouse over the lamp to see it turn on. Relaxing in my bunk. As you can see, there was even enough room to put my backback at the foot of the bunk. Tier of bunks across from mine. Most of the bunkrooms are divided into smaller areas with only a few bunks in each area, which helps keep the noise down. Undercast on Thursday morning. The whole Rt 2 valley was shrouded in clouds. It was variably foggy and windy up high. Closeup of the undercast from Madison Springs Hut. 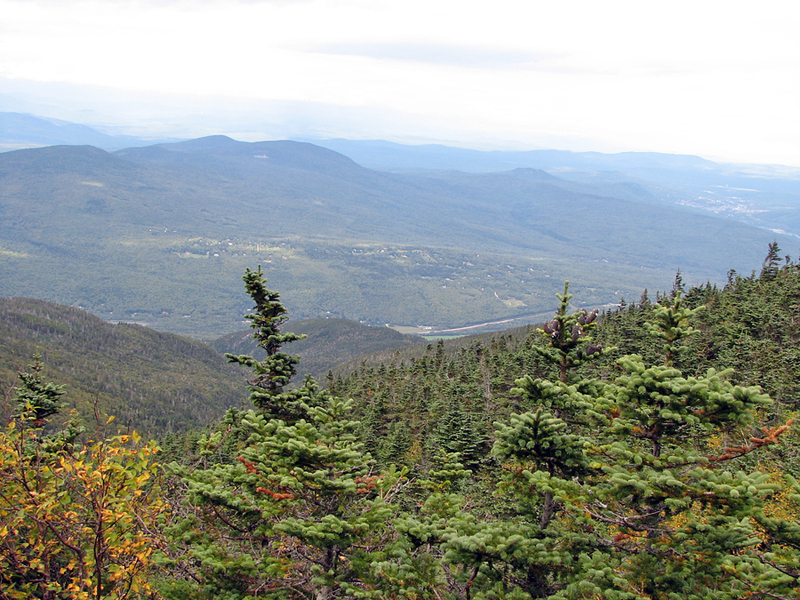 The Mt Washington Auto Road from the summit of Mt Madison. 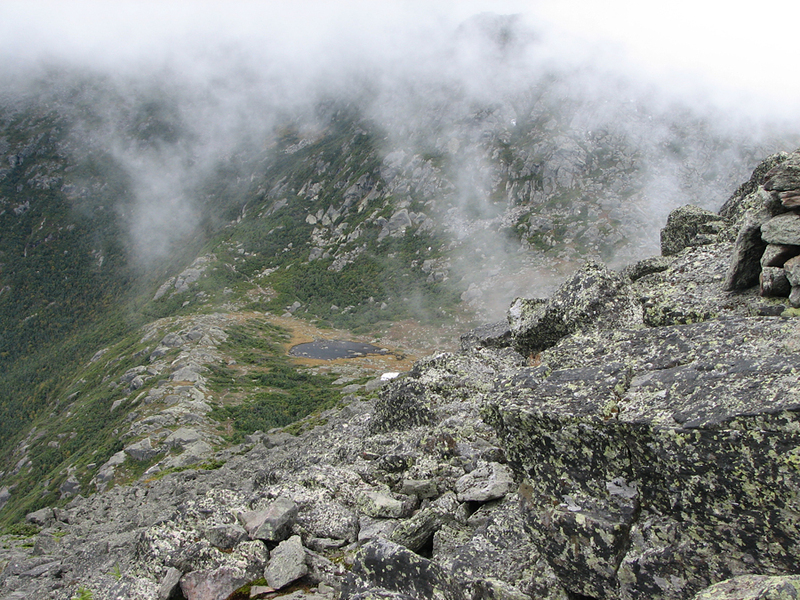 The fog was ebbing and flowing across the higher summits. 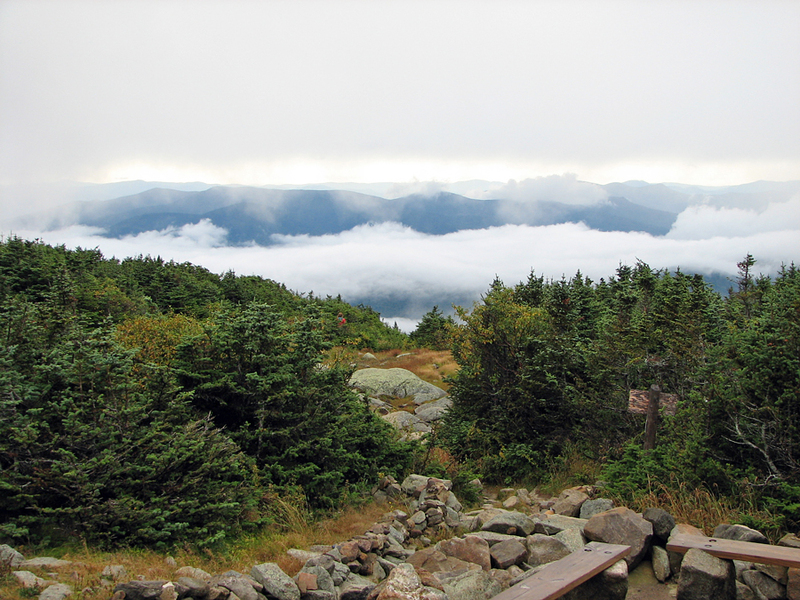 One minute, Mt Washington was entirely hidden; the next brought glimses of its features. 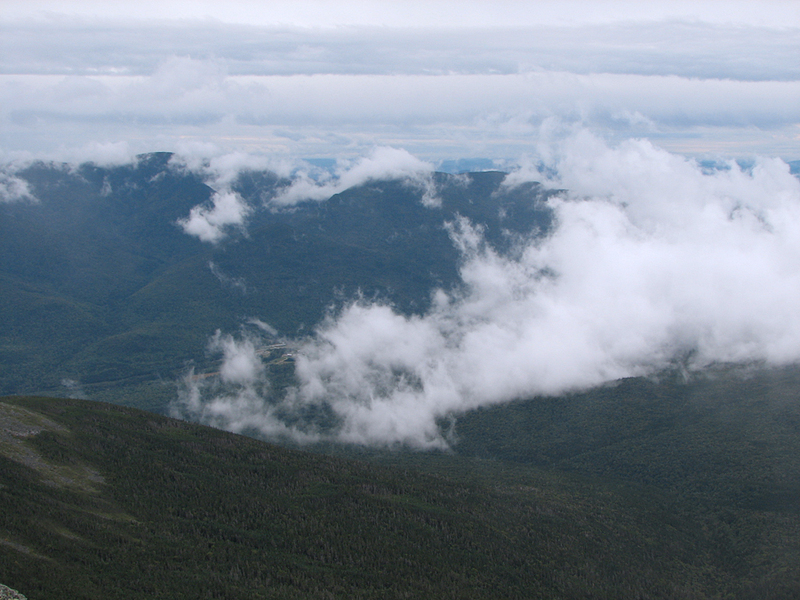 Closeup of the Mt Washington Auto Road from the summit of Mt Madison. 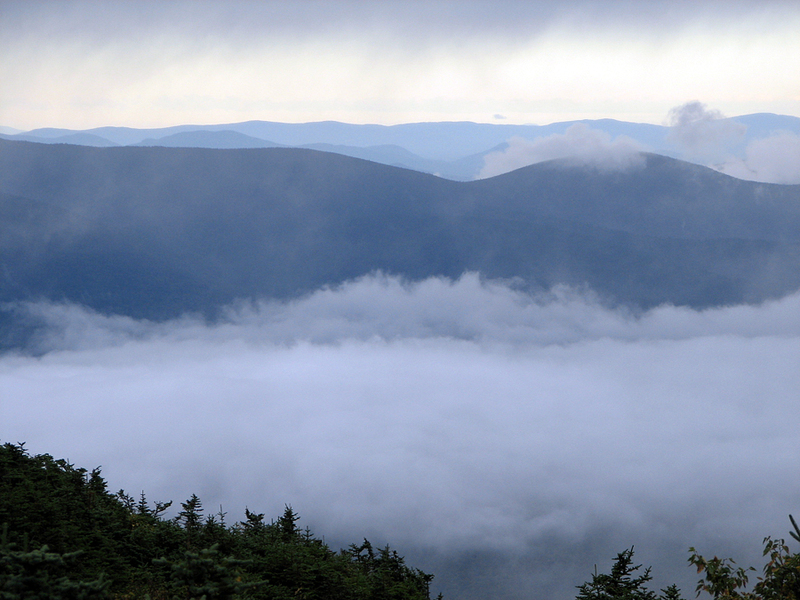 Fog drifting across Pinkham Notch. The Wildcats loom on the other side of the Notch..
Me on top of Mt Madison. A couple from Quebec asked me to take their picture and offered to take mine as well.. Heading down. The two climbers from Quebec begin their descent, following the line of cairns back toward Madison Hut. Star Lake from the summit of Mt Madison. The rocky promontory to the left of the lake is the Parapet.